Entrepreneurs and small and medium-sized businesses are an important part of the Canadian economy. 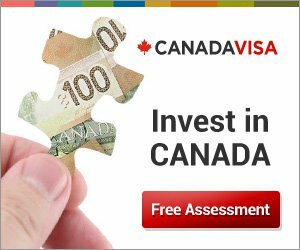 If, as a potential Canadian immigrant, you would like to establish and manage your own business in Canada, the Entrepreneur category of Canadian Business immigration could be your ticket to Canadian Permanent Residency. The federal and provincial governments strongly encourage newcomers to invest in new or existing businesses across the country, bringing their international experience to the Canadian economy. The federal Entrepreneur category of Business Class immigration was created to do just that, and many provincial Entrepreneur programs have subsequently emerged as well. The purpose of the Entrepreneur Program is to attract experienced foreign business people who intend to own and manage Canadian businesses. These investments by Entrepreneurs will help build the Canadian economy and will create jobs for Canadian citizens and Permanent Residents. To qualify as an Entrepreneur, applicants must have at least two years of business experience and a minimum net worth of at least $300,000. Additionally, they need to satisfy minimum criteria for experience, education, age, English and/or French language abilities, and adaptability. They must also pass medical and security clearances. The Entrepreneur must control at least a third of the equity of a qualifying Canadian business and provide active and on-going management of the business. Additionally, the business must create at least one full-time job for a Canadian citizen or Permanent Resident (other than the Entrepreneur or a family member). These conditions must be met for a period of at least one year within the first three years of the Entrepreneur becoming a Canadian Permanent Resident. Entrepreneurs are required to meet with immigration officers several times during this three year period to show evidence of their efforts to comply with these conditions. The federal Entrepreneur category is applicable to applicants who wish to settle in any province/territory other than the province of Quebec, which has a separately-managed Entrepreneur program. Similarly, almost every Provincial Nominee Program (PNP) has its own Entrepreneur program designed to encourage immigrants to set up a business in a particular region. Requirements differ slightly for provincial programs, including lower net worth requirements, but their structures are similar to the federal program. A new mobile application is available to help test takers prepare for the International English Language Testing System (IELTS) standardized exam. The Government of Saskatchewan has conducted its first draw of 2018 for its Provincial Nominee Program's Entrepreneur Stream.